Teams are the foundation of successful modern businesses. And the ways in which those teams are assembled, structured, and managed can lead to either continued frustration, or reaching greater heights. Author and organisational psychologist Dave Winsborough discusses these concepts in his new book, “Fusion: The psychology of teams”. Dave has just completed a tour for the book, in which he shares proven principles with leaders and team-builders on putting together effective, task-oriented teams that meet goals every time. He has also covered the main ideas in a brief video, which you can watch here. In the video, Dave covers what makes teams important in the modern age. He makes the point that we are now far off from the days of the Industrial Revolution, where workers were easily replaceable. Doing business today requires that knowledge is shared and that collaboration happens easily and freely, with little-to-no friction. Teams are the natural solution. Dave shares three ingredients that amount to powerful teams: hard, soft, and deep factors. Each of those broader categories are broken down into several important principles. The size – The number of people on the team can profoundly affect the group’s productivity and manageability. The design – Leaders must think about how work will flow throughout the team, and how each team member will contribute to the whole, in order to hit the final target. Good team design entails that team members know what to expect from each other, and can trust each other to faithfully play assigned roles. Dave suggests that leaders avoid ‘telling people what to do’, encouraging them instead to be coordinators and facilitators for the teams they manage. 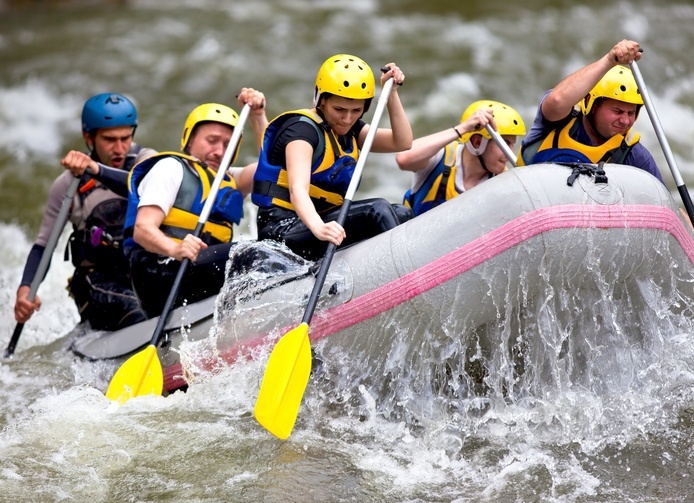 Cohesion – This is all about how team members ‘gel’ and come together to build relationships. It includes both professional and social bonding. Social time outside of work, and conversation about shared values, help to create the necessary bond. 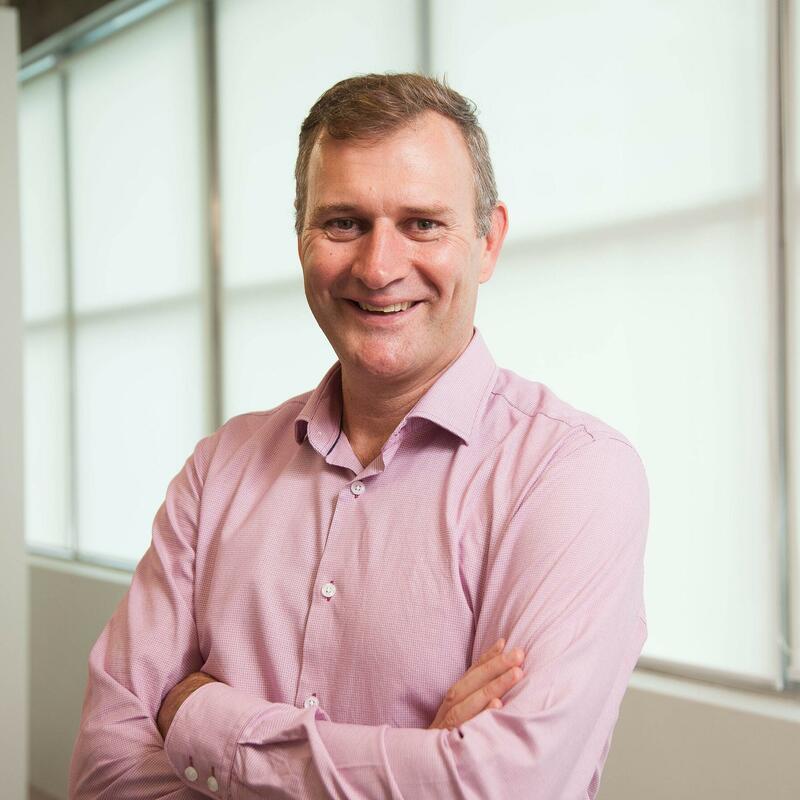 Trust – Dave describes trust as ‘the psychological glue that holds teams together’. He insists that there must be an internal currency of trust in order to keep to the task – or else cliques may form, and the team begins to fall apart. Communication – Any team is better served by team-members talking to each other, openly. Dave recommends that teams should be face-to-face whenever possible, and not just virtual, in order to keep communication alive. Finally, Dave talks about the deep factors of team management. This includes taking inventory of each team member’s personality and whether, for the given task, the range of personalities assembled will truly gel and are a good fit for the team’s purpose. The right mix is essential. At the end of the video, Dave mentions the result of stronger teams: people enjoy their work more. That’s what the company he founded, Winsborough, truly values as well. In November, Dave gave a number of presentations and key-note speeches to executives, business leaders, and various “people” experts on topics of effective team development and management. Anyone can download his presentation slides here. 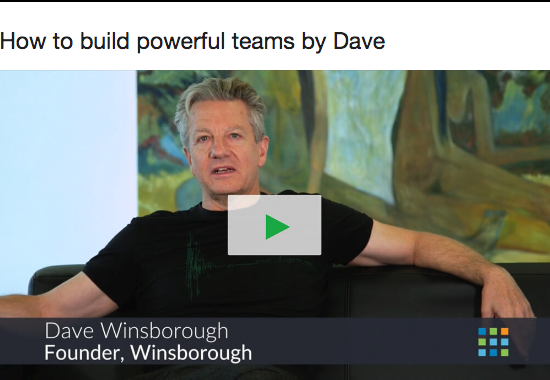 But to really get a sense of effective team-building – that is, how to build powerful teams you can be proud of, and that get results – click here to watch Dave share his insights in his own words, and consider picking up your own copy of “Fusion: The psychology of teams”.